According to the November 19, 1959 issue of The Record, actor Basil Rathbone, famous for his recurring film role as the definitive Sherlock Holmes, was scheduled to perform a one-man show in Pierce Chapel under the auspices of the Lyceum. However, due to a contractual obligation to his role in Archbald MacLeish’s play, J.B., he cancelled. Rathbone the Episcopalian, writing in his autobiography, In and Out of Character (1962) describes the play as “…anti-fundamentalist, but most certainly not anti-Christian.” Though Wheaton College might have regretted Rathbone’s non-appearance, the feelings were likely not reciprocated, as he was quite anxious to pull away from the grueling demands of stock gigs. 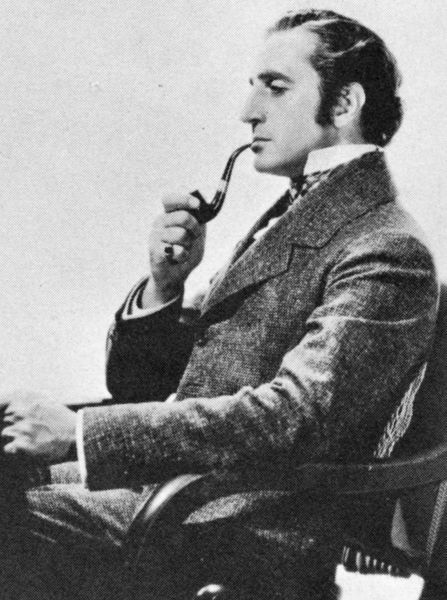 “You play eight performances a week,” he complains, “and then every Sunday you travel most of the day to your next date….To live through this…one must have considerable endurance and a stimulating objective….” This objective was provided by J.B., rescuing the aging Rathbone from the rigors of cross-country journeying.